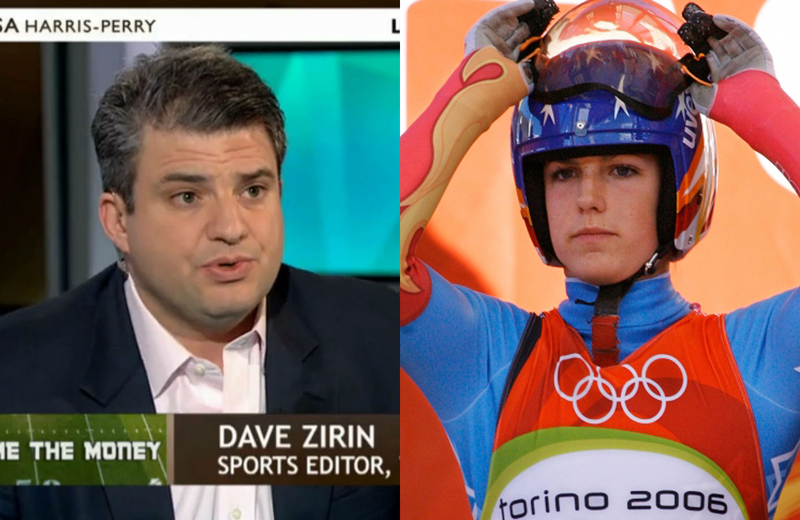 The Nation's sports editor Dave Zirin will join former luge competitor Samantha Retrosi to take reader questions on the politics of the Olympic games. We’ve just begun the second week of the Sochi Winter Olympics. Steeped in controversy, this year’s games have had, in the words of The Nation’s sports editor Dave Zirin “something for everybody:” attacks on LGBT rights, environmental degradation and even the mass extermination of stray dogs. But Sochi isn’t entirely unique; if you look beyond the wall-to-wall media coverage of athletic triumphs and defeats, the games have always had a dark side. This Tuesday at 2 PM, Zirin will join Samantha Retrosi, a former luge competitor and author of the recent Nation article “Why the Olympics Are a Lot Like 'The Hunger Games,'” for a live chat with readers on the corporate power, corruption and exploitation behind the Olympic games. To be sure you don’t miss out, sign up for an email reminder below.